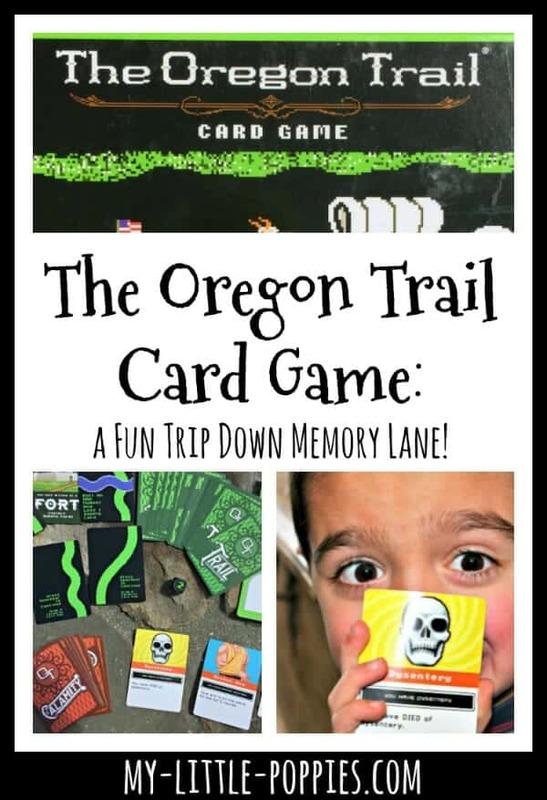 The Oregon Trail Card Game Is a Fun Trip Down Memory Lane! 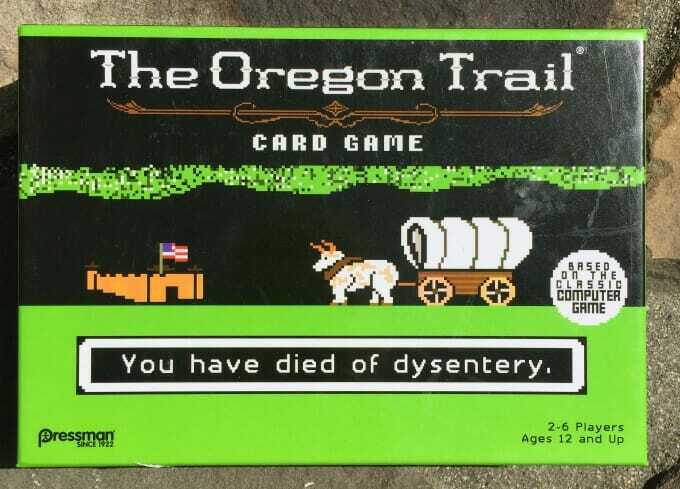 I have recently discovered The Oregon Trail Card Game… and it’s a completely hilarious trip down memory lane! 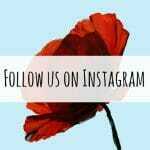 This post is part of my Growing List of My Little Poppies Game Reviews. Slowly but surely, I am making my way through our game closet and sharing our thoughts. Stay tuned for more posts in this series! The Oregon Trail Card Game is a blast from the past! 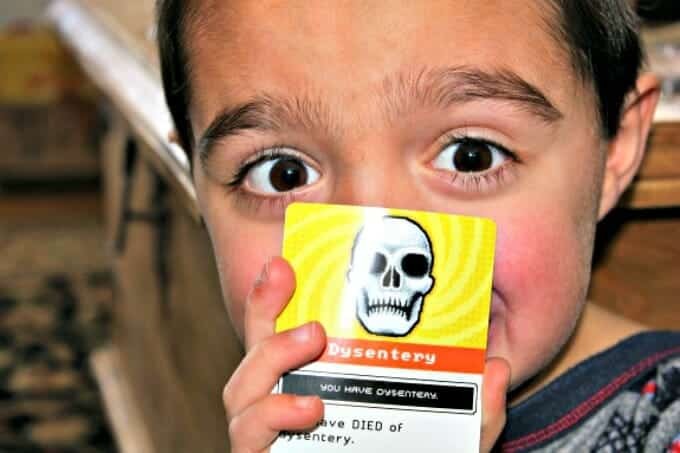 The Oregon Trail Card Game will bring you back to sixth grade! I have thoroughly enjoyed sharing this game with my children. This collaborative game is a nod to the original computer version. The game simulates a trip over The Oregon Trail in 1847. All players are members of a wagon party that is attempting the 2,040-mile journey from Independence, Missouri to Willamette Valley, Oregon. The goal of the game is for one player to make it to Willamette Valley, Oregon alive. And, if you’ve played the game before, you already know that this is easier said than done! The Oregon Trail Card Game is simple to setup and fun to play. Deal five Trail Cards to each player and place the remaining cards face down in a deck. Deal the appropriate number of Supply Cards (this number is dependent upon the number of players in the game) to each player. The remaining Supply Cards become the Shop. The youngest player is the Shopkeeper… until the first wagon member dies. And then that person takes over as Shopkeeper. The player born closest to Willamette Valley, Oregon begins the game by connecting any of their Trail Cards to the Start Card. Play then passes to the left. 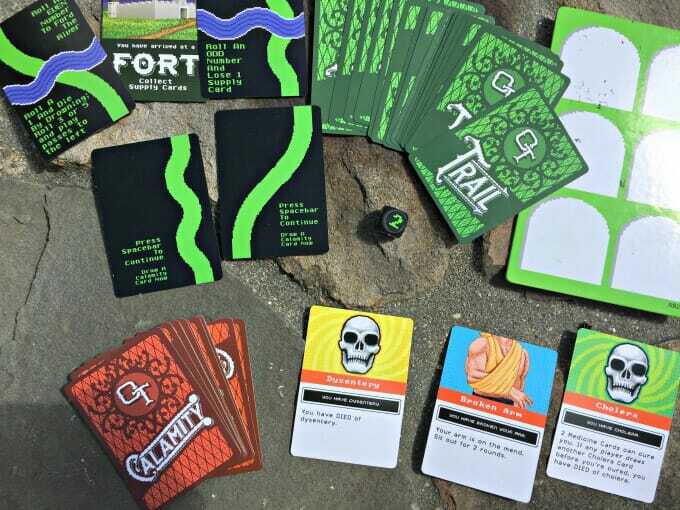 All Trail Cards will connect to a Fort, Town, Start, or Finish Card. Players must follow instructions listed on the Trail Cards they place. For example, if the card reads “Press Spacebar to Continue,” the player must draw a Calamity Card and follow its instructions. If an oxen dies or the wagon breaks down, no one can play a Trail Card until the situation is resolved. Players do not have to play a Supply Card to remedy a calamity. In other words, sometimes it is better to have a player die than to fix the calamity. When players die, they “will” two of their Supply Cards to other players. Their Trail Cards are returned to the bottom of the Trail Card deck. The Shopkeeper erases that player’s name from the roster and flips the board over to write the player’s name, and a short epitaph, on one of the tombstones. The game ends when one player makes it to Willamette Valley, Oregon or when all players have died. Now, it’s your turn. 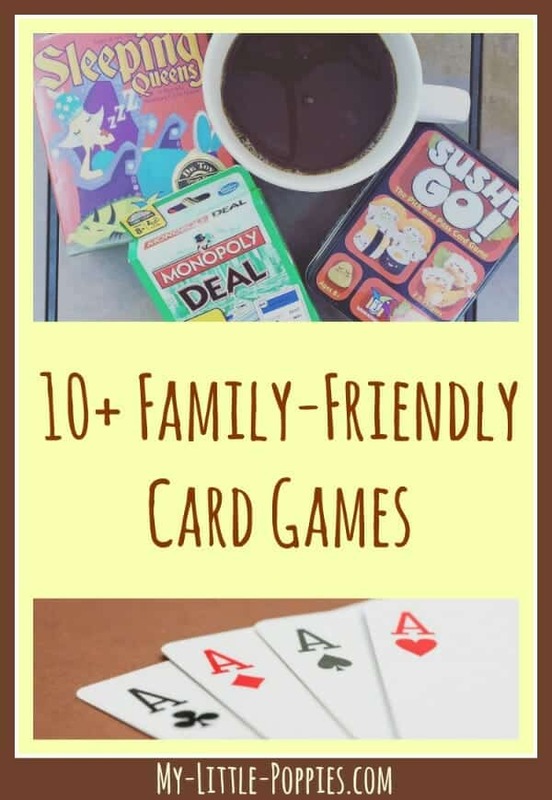 Tell me: What is your family’s favorite game right now? Share here.